Why should I get my windows cleaned? Clean windows make your home brighter and your business looks more professional when the windows are maintained. Your building and your windows are a customers' first impression. Windows are also a huge investment in a home. Glass is porous, and therefore can trap dirt, grime, and other elements. When glass is not cleaned regularly, these elements become a permanent part of the glass. These "stains" can be costly to treat, and often the treatments are not successful. Also, clean windows are less likely to be scratched! Keeping your windows clean and protected will save you from having to invest thousands of dollars on new windows every decade! Plus, it's better for the environment & your health! See our top ten list on our residential & commercial pages. To see a list of our recommended service frequency, please CLICK HERE. What solutions do you use to clean windows? Although you'll hear that plain 'ol dish soap will clean your windows just fine, it does nothing to protect them. Irrigation water is generally very hard water. When pressure cleaning, or when water from a hose or irrigation system hits the windows, it usually creates hard water stains, which can be expensive to repair. It also gives dust, dirt, and rain something to hold on to. We use a professional grade solution that not only gives you crystal-clear windows, but it also bonds with the glass to provide you with a protective barrier against the elements. Unlike ammonia-based products (Windex) that actually attract dust, dirt, and rain, our solution repels it. This will keep your windows cleaner, longer. Most of our residential customers will find their windows stay clean 4-6 months as opposed to 2-3!!! Our solutions are 100% safe. They are non-toxic and biodegradable. They are safe to use in the home and around landscaping. What do I need to do to prepare for my window washing? Our professionals will come with all of the products and equipment needed for your service. We do request that you provide a clear path in your home to the windows. We also prefer that you remove any antiques, heirlooms, or knick-knacks from the area around the windows. Although we will carefully move them for you, and we are insured, items like these often cannot always be replaced. We will take care of raising the blinds, moving the curtains, and removing the screens. We can work around most furniture and will move small furniture in our way. If there is a large piece of furniture blocking a window we ask that it be moved prior to our arrival, or let us know if we should just skip those particular windows. Although we prefer someone to be home while we are there, it is not always necessary. Residential customers that have requested outside service only do NOT have to be home; However, Please Note: Screens covering outside panes MUST be removed in advance to our arrival if the windows are tilt-in or only come out from the inside. Payment must be arranged in advance, and a receipt will be left on your door upon completion. Residential customers that have requested full service (in/out) DO have to be home when we arrive, unless arrangements have been made in advance to allow us access to the inside of your home. Many of our customers will arrange to have a key and/or a code to get in. Since we are bonded & our professionals are thoroughly screened, customers that feel comfortable with us (most do) are free to leave while we work. Please do not leave without first speaking with the site supervisor. Ideally, we prefer that the customer be on site at the job's completion so that we can do a walk-through. We take our work very seriously and want to be sure you are completely satisfied. We do guarantee our work (details below). How long does a full residential window washing take? The Estimated Time will be listed on your FREE ESTIMATE! What if I receive a quote elsewhere that is significantly lower? No Streaking keeps our prices at the industry standard and is competitive with local, legitimate businesses. We do not have any hidden fees or charges, and we do not charge mileage. If you have received an estimate elsewhere that is significantly lower, please make sure you are protected...ask for proof of insurance and bonding. Make sure to ask why you are getting such a great deal & make sure to ask for several references. Most professionals will offer them with their estimate, without being asked. If the deal seems too good to be true, it just might be. Also, if you are considering hiring a house cleaning company, please ask if they are specifically insured for window washing. Many companies add this service without adding the insurance. If they get injured while window washing or if they scratch your glass or ruin your tint, it will not be covered! Window washing can be dangerous and scratched windows can be very expensive to replace, which is why window washing must be insured separately. There is plenty of glass to go around; we are not looking to steal business from a competitor, but we are interested in protecting consumers and our industry. Unfortunately our industry has many fly-by-nights out there that do not bother to register as a legitimate business, buy Professional tools and get professional training, pay taxes, purchase insurance and bonding, and don't care if they do a good job because they don't plan on coming back anyway. This is a temporary job for them. They most likely are using dish soap, which also means your windows will stay clean half as long, meaning, you will need to schedule them twice as much to keep your windows sparkling. 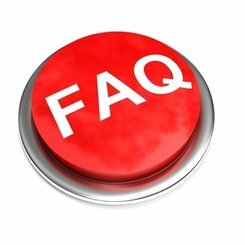 If you are unsure about a quote your received from another company, please feel free to call us with questions. How do I schedule my next cleaning? Once you have decided the frequency that you want your window cleaning cleaning done, you will automatically be sent a reminder notice of your service 2-4 weeks before your cleaning is due. Simply call or email us to confirm a date & time. You are not obligated to schedule at that time, but if we do not hear from you, we will follow-up with a courtesy call to see if you are ready to schedule or if you would like us to change your frequency so that you will continue to receive timely reminders! What if it rains on my scheduled day? We closely monitor the weather conditions everyday. It is a myth that rain will dirty windows. Rain attaches itself to the dirt already on the window, and moves it around, making them appear dirtier. Rain will just sheet off of a clean window and will dry spotless. No Streaking will not cancel a scheduled appointment unless the weather predicts hard rain continuously throughout the time of your scheduled appointment, or threats of lightning. The safety of our Professionals has to be a priority. If there is light rain scattered throughout the day, we will try to work around the weather by completing the inside windows during the showers, and then work the outside. See our Rain Guarantee. Will there be any mess to clean? Absolutely Not! We use drip tools & towels and remove shoes or use indoor shoes to make sure that we do not leave any mess behind for you to clean! We certainly do. Just let us know & we will provide you with a list of customers that you can contact. These references are provided automatically with your free estimate. These customers have given us permission to use them as a referral for 3 months. We rotate our references every 2-3 months so that the same references are not getting calls indefinitely! We focus our attention on windows. Offering too many services tends to take the focus away from what we do best! We will however clean mirrors, chandeliers, shower doors, ceiling fans, coach lights, or other glass upon request for an additional fee. We can also treat Stage I Hard Water Stains on your windows or shower doors and rescreen any torn or worn screens. We are also able to assist you with referrals to other reputable businesses such as pressure washing, house cleaning, landscaping, and a variety of other home, personal, and business services....please ask your professional for more information or visit the Links page at your local No Streaking website! We prefer cash and personal/business checks, which help keep our prices low, but we do accept major credit cards and debit cards for the convenience of our customers. Please Note: There is a $30 Service Charge on all returned checks and charge backs. We do guarantee our work! Since 90% of our business comes from referrals, we want your experience to be one that you will be glad to tell your friends, family, and co-workers about! We strive for perfection, but as most people are aware, windows can be tricky business! We will look at our work from several different angles, and at the end of your cleaning, we will go back through and touch up anything we may have missed while we were cleaning. At the end, please don't hesitate to point out anything you might find! We will take care of it immediately & without question! If within 2 weeks of your full residential cleaning, the sun hits the window just right and you notice a streak, please give us a call and we will gladly come back and fix it...at no cost to you of course. If you received an outside only cleaning, although we will do our best, we cannot guarantee the work because it is difficult & time consuming to determine if a streak/mark is on the inside or outside of every single window. We highly recommend our full residential service for the absolutely best outcome! ​Why should I choose No Streaking over any other company? Due to an overwhelming amount of fly-by-nights in this business, we cannot say that we are always the cheapest in town, however, we can confidently say that we are the BEST! We have very high standards and take pride in our work. We are locally owned and operated, and will give you the best personal service possible. We have taken every additional step necessary to ensure that your job gets done right, and that you will feel comfortable with our Professionals in your home. Many of our customers have tried other companies, and have not had the excellent experience that they have had with us. Again, we are more than welcome to provide you with some of our customers' contact information so you can discuss some of their previous experiences with other companies, and with us. Don't forget.... we also have the Friendliest staff out there & we are licensed, bonded, and insured...you can feel secure doing business with us! How soon can I get my windows washed? Typically, we are booked 1-2 weeks out, but occasionally you will find appointments available the same week. Please let us know if you are having a special occasion coming up (A party, guests visiting, etc.). We will do whatever we can to work you into our schedule so that your home is looking perfect for your big event! growing list of satisfied customers!